FTMDaily.com – Mr. Jeremy Grantham is one of the largest money managers in the world. As the co-founder and chief investment strategist of GMO (Grantham Mayo van Otterloo), he oversees $100+ billion in assets. Through his years of quantitative research, Grantham has demonstrated that bubbles in all “commodity, stock and bond markets excluding timber” end with a reversion to the mean. This is a hallmark of the man’s work. But one of the reasons that Grantham has been so successful is his ability to identify speculative market bubbles and move his clients’ assets out before the “crash”. Some of the past “bubbles” Grantham has warned his clients about include: The Japanese stock and property bubble of the late 1980’s and the “dot-com” tech bubble of the late 1990’s. In recent years, he has become one of the most vocal critics of the Federal Reserve within the stratosphere of the investing elites. For example, in an interview with the NY Times last month, Grantham accused new Fed Chairwoman, Janet Yellen, of being “ignorant.” In addition, he has blamed America’s failing economy upon the Fed’s quantitative easing program. Grantham believes that if the Fed would just get out of the way and stop its intervention, the U.S. economy could finally begin moving towards some level of sustainability. It seems that on this point, of the Fed and its inept policies, we find ourselves in wholehearted agreement with Mr. Grantham. So what does Grantham think about the U.S. stock market? Again, I agree with Grantham on this point. In my own estimation, it is unlikely that the Fed will stop its excessive intervention until the Dow Jones Industrial Average reaches at least 18,000. That is about 11% higher from here. I think that 11% is the minimum upside from here. But Grantham could certainly be correct in his optimistic belief that U.S. stocks climb another 25% from here. If you have been following our work here at FTMDaily, you know that this is a near carbon copy of our opinion about what lies ahead for U.S. stocks. 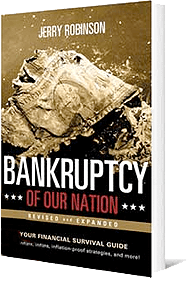 We believe that the Fed’s monetary policies have ruined the U.S. economy and have only served to inhibit America’s natural economic resilience. 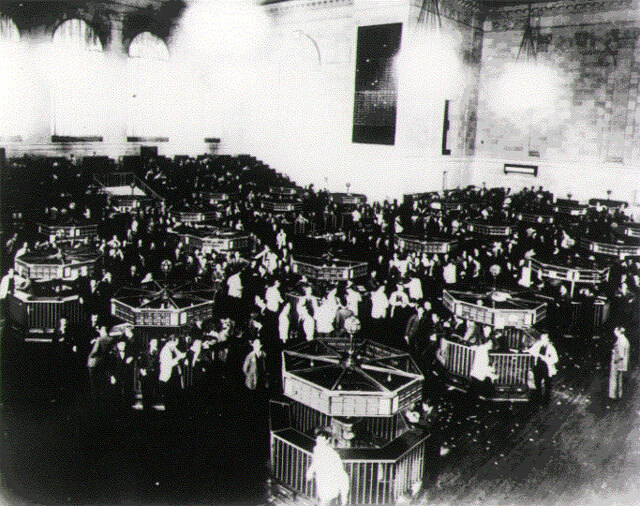 The days of this current stock rally are numbered. Unfortunately, no crystal ball exists to tell us “when” the collapse will take place. But rest assured… it’s coming. Sadly, it seems the only thing we learn from history is that we never learn from history. ACTION POINT: Read the entire, but brief, interview with Mr. Jeremy Grantham here. 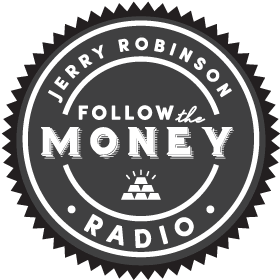 In addition, take 10 minutes to watch Fractional Reserve Banking and the Federal Reserve on FTMFlix.com. This brief video will open your eyes to how the Federal Reserve really operates, and why its money creation methods are completely unsustainable. Gold prices fall on concerns over higher U.S. interest rates as palladium rises to a 31-month high on supply concerns. Cisco Systems Inc plans to offer cloud computing services, pledging to spend $1 billion over the next two years to enter a market currently led by Amazon.com. Deal comes on the heels of a Comcast-Netflix agreement reached last month. March’s manufacturing activity missed expectations by the most since Feb 2013 as jobs grew at a slower pace and factory orders declined. In one corner of the U.S. equity market, investor enthusiasm is exceeding the frenzy of the Internet bubble. To keep your tax bill as low as possible this filing season, you need to stay on top of all the ways the rules have changed. The Industrial Revolution did away with gigs that your great-great-grandparents might have had that sound preposterous to us today. Russia and Iran have been cited as possible threats that might, at some point, lurk in the waters just off U.S. shores. Scientists investigate possible link to wastewater disposal related to oil and gas production. Malaysia Prime Minister Najib Razak said Monday the missing Malaysia Airlines Flight 370 flew along the southern corridor and its last location was in the Southern Indian Ocean west of Perth. He said the families of the 239 people on the flight, missing since March 8, have been informed. The package was addressed to the Vatican postal office, meaning any of the Vatican’s 800 residents could have picked it up. But no one claimed the package, indicating that he or she was tipped off about the plan. Interesting (awkward?) timing as U.S. President prepares for his first meeting with Pope Francis at the Vatican on Thursday. Turkish forces have shot down a Syrian military jet they say was violating their airspace despite warnings. Israeli diplomats launched an unprecedented strike on Sunday, forcing the complete closure of embassies around the world, which could also threaten to postpone a visit by Pope Francis to Israel planned for May. Archaeologists on Sunday unveiled two colossal statues of Pharaoh Amenhotep III in Egypt’s famed temple city of Luxor, adding to an existing pair of world-renowned tourist attractions. 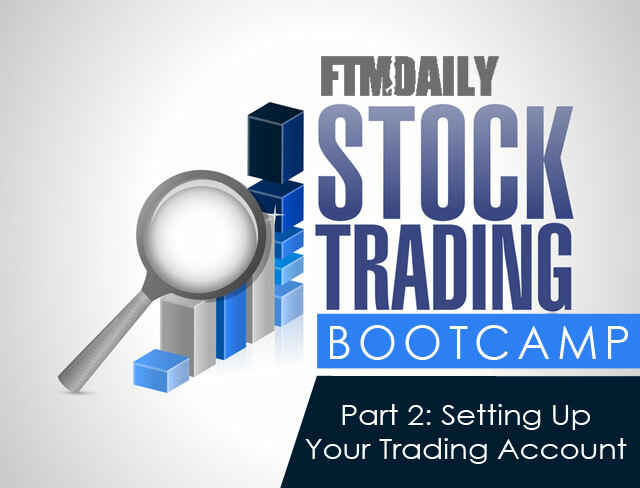 Topic: In Part II of our Stock Trading Bootcamp podcast series, Jerry Robinson explains step-by-step how to set up an online stock trading account. Sold BPFH for 5.42% profit last Friday! Sold BAC for 1.95% profit!